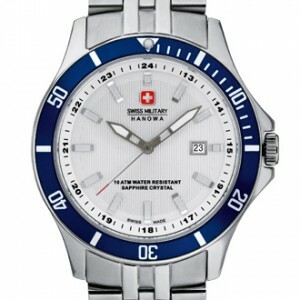 Since it was founded in 1963, Swiss Military Hanowa has excelled in the development of trendy, sporty watches at affordable prices. 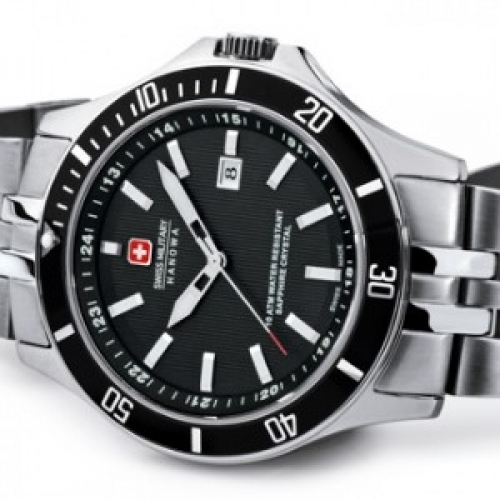 The Flagship, with its classic design and understated black or silver dial, is a perfect example of this philosophy. The applied luminescent hourmarkers and date window at 3 o’clock provide instant legibility, while the stainless steel case flows seamlessly into the stainless steel bracelet. The attractive rounded curves of this watch are underscored by the simple red Swiss Military-Hanowa logo, a guarantee of Swiss Made quality.